Packed Oxygen Gas Market Is Available In The Form Of Pressurized Gases Or Liquids / Liquid Packed Gases In Steel Tubes Or Stainless Steel. Wonokoyo Prima Gas. We are a company that was established in 1990 as a supplier and service provider of Industrial Gas, Medical Gas (New Tubes of Gas Oxygen, Nitrogen, Argon, Acetylene, CO2, Gas Cylinder) along with its equipment. We are on Jl. Kenjeran 185-187. with the best quality and selling price you can get. 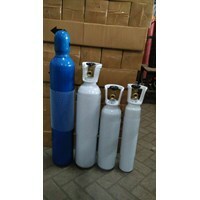 Oxygen cylinders are one of the tools for those who have respiratory problems. We often see the use of these tools such as in hospitals or health care centers such as health centers, polyclinics village, and so forth. Usually oxygen canisters that were on most of the health care center has a large size and weigh up to 60 kg and height up to 6 m3. This is done because a large-sized oxygen tank has a capacity of more content that would be more durable during use.However, large-sized oxygen tank is not practical to carry everywhere. So what if someone is experiencing breathing problems while he was on his way? Now no need to worry anymore if you, your family, and your friends to experience breathing problems when in transit, because at this time have we encounter a respirator in the form of an oxygen tank that is small so it is more practical to carry around and more efficient to use. The oxygen tube called a portable oxygen cylinder, oxygen tank that is lightweight and does not take place.Specifications and Uses ToolsPortable oxygen tank has reached the 500 ml size with the pressure of 1.0 Mpa. The breathing apparatus can be used anytime, anywhere, especially for those who require supplemental oxygen for respiration, including those:Who experience breathing problemsFatigue due to work load is too heavyBeing in a state of drowsinessDone activity exerciseWas climbing the mountainWere driving in the long term. 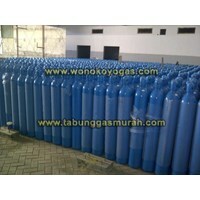 Ud.Wonokoyo Prima Gas Is An Importer And Stockist Of New Industrial Gas Cylinders (Gas Cylinder) With Various Volume Sizes Ranging From 1M3 To 7M3, Gas Cylinder Valve, Gas Regulator With A Very Competitive Price. 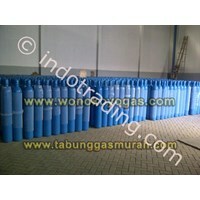 We Are Also A Distributor Of Various Types Of Industrial Gases With More Than 15 Years Of Experience In The Field. Our Marketing Area Covers The Whole Of Indonesia, Especially East Indonesia. 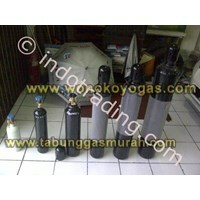 Most Of Our Customers Are Large Enterprises.Type Of Gas That We Distribute Include Gas Cylinder Oxygen (O2), Nitrogen (N2), Argon (Ar), Hydrogen (H2), Helium (He), Carbondioxide (Co2), Lpg (Lpg) Pertamina 12 And 50 Kg, And Various Other Gases Are Packed In Steel Tubes Ranging In Size From Small To Large Volume:1M3, 1, 5M3; 2M3; 3M3; 6M3 Up To Volume 7M3. Our Location Close To The Port Of Surabaya Silver Cape, And Very Close To The Bridge That Is Central To The Economy Suramadu In Surabaya. Anda Mencari "Gas For Medical"? Buat Permintaan Untuk "Gas For Medical"